"Google! Bonk with Paint Can!" Just as the holiday season is in full swing, Google surprised followers by making being left home alone look fun and easy! In it’s new commercial with Macaulay Culkin, Google promotes Google Assistant by recreating scenes from the classic festive movie, Home Alone. 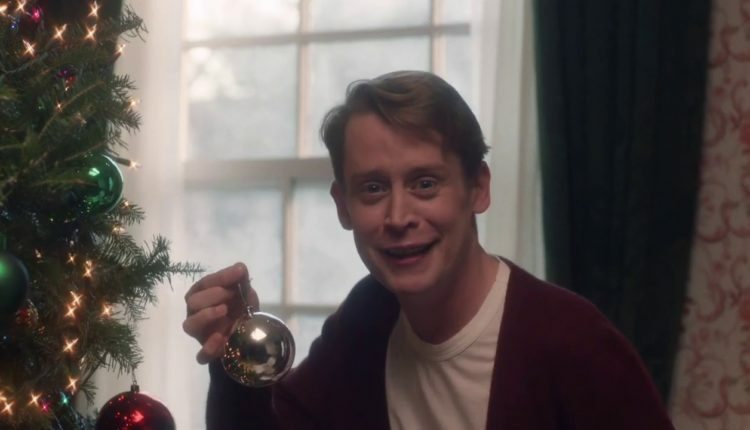 Almost 28 years later, Macaulay Culkin came back to star as older Kevin McCallister in an ad released right before Christmas. Now 38 years old, Kulkin returns to same home, looking exactly as it did in in 1991, retro decor and all. As the day starts Google Assistant announces, “You have one event called ‘house to yourself,” after Culkin asks what is on his calendar. Some changes were made to the iconic scenes to fit the much older version of Kevin. Not only does he have to do his own grocery shopping and laundry, he realizes he now needs to shave and he throws out his back while jumping on the bed. With the help of the modern day Google Assistant, Culkin is able to make a shopping list, change the house temperature and of course, order his cheese pizza straight to the door. In this reenactment of the movie, Culkin even used the ‘Operation Kevin’ tool to keep the Wet Bandits, the two infamous thieves from Home Alone away. Watch the trending video here to see if these scenes jog your memory. The nostalgic surprise was a Christmas miracle for Twitter fans who erupted with excitement. As you sit down with cookies and milk this holiday season, is Home Alone one of your favorite Christmas movies? Did you love the reimagined scenes almost 30 years later? Let us know in the comments or on Twitter at @WhatsTrending.